Press Through the Dark Place, Fix-It With Fran: All Things Faith, Family, Food, Fun and more! That touched me to the core. Grad school was a hard time in my life. My scholarship program’s funding got cut (I went from having a full tuition scholarship with a stipend to NOTHING), I was pursuing my passion of working with kids only to have a gun drawn on me at work, and I worked 5 different jobs while being a student full time and pursuing two degrees. Not many people know those parts of my story, but it’s sooooooooooooo AMAZING how God will use people in your life to remind you of everything you’ve overcome and to speak even the smallest words of encouragement at the right time. I’m by no means perfect, and sometimes I’m slow to take on that mindset, but it NEVER fails me. I started this post because I saw this image and felt overwhelmingly thankful, but I pray it encourages you as well. Even in the darkest hours, God will send those small reminders. I pray that you press through, understanding that the dark hours are not meant to destroy you. Rather they are intended to strengthen you and accomplish a greater purpose. 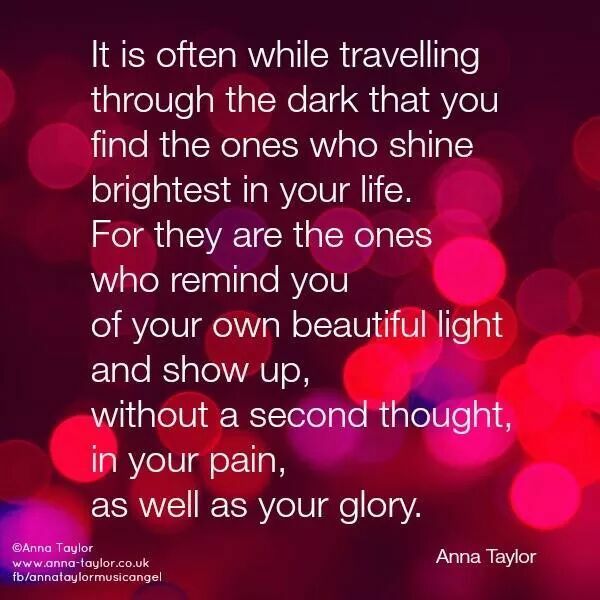 I also encourage you to thank those people that have been lights in your life. I like that phrase, “Give people flowers while they are living.” You may have thanked them in your heart, but thank them with your words. Let them know they made a difference. Sometimes, that in itself is a light that can help to keep them going too. Isaiah 41:10 Don’t be afraid, for I am with you. Don’t be discouraged, for I am your God. I will strengthen you and help you. I will hold you up with my victorious right hand.